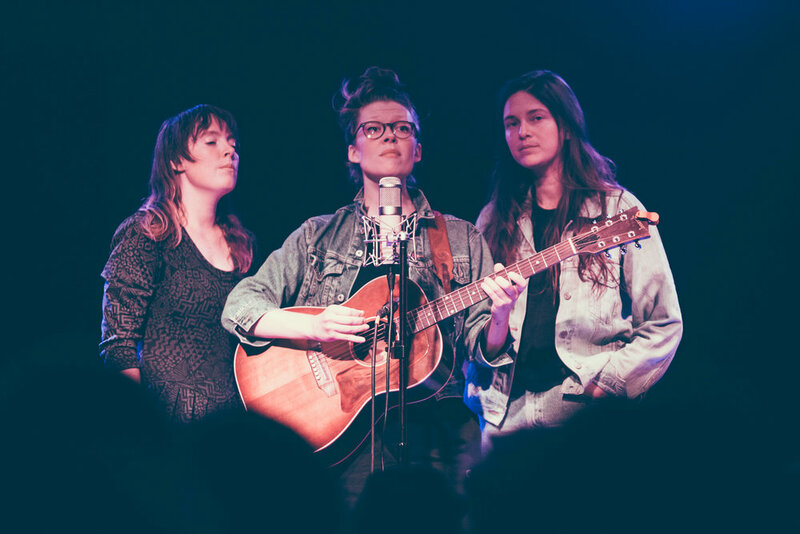 Molly Erin Sarle, Alexandra Sauser-Monnig, and Amelia Randall Meath are the trio that make up the folk group Mountain Man, and the three performers brought the group to Saturn Birmingham in Birmingham, Alabama on March 21st. A great crowd gathered to see the show and hear the vocal talents that were on display. Playing in a minimalist and stripped down setting, the members of Mountain Man delivered a touching and lovely musical journey. The journey featured cuts from their 2018 release, “Magic Ship”, which can be found on the Nonesuch label.